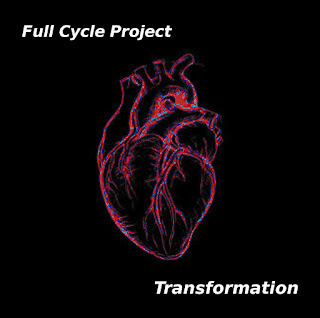 Announcing the new release from Full Cycle Project, called 'Transformation', available for download from Bandcamp here. After living with a heart condition since childhood, it finally came to the time in June 2015 where I needed my mitral and aortic valves replaced with artificial titanium valves. These tracks were written whilst in the Mater Misericordiae University Hospital, Dublin. 'Before Transformation' was written in my hospital room the night before my surgery, 'After Transformation' was written a week later while still recovering. Its being released today, the second birthday for my two new heart valves. The heart is ticking along very nicely. Enjoy the music!